2300 years ago emperor Ashoka‘s son, a Buddhist monk by the name of Mahinda, was sent to Sri Lanka to propagate the Buddha’s message to the people of Sri Lanka. 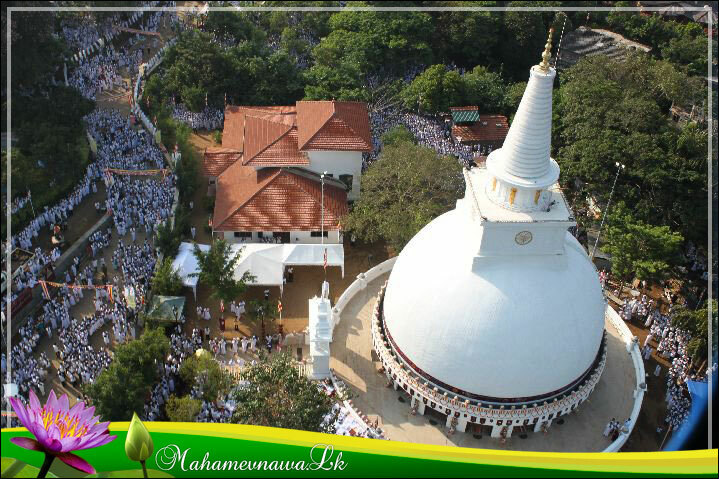 He met the king, who happened to be on a hunting expedition in a forest and was invited to the capital of the country, Anuradhapura. In the royal park Mahamegha (lit. “great rain shower”) the first Buddhist monk in Sri Lanka thought for a moment what discourse of the Buddha would benefit his audience best and then decided to recite (from memory) the Cula-hatthipadopama Sutta (which you can read here). Yes, that was it. 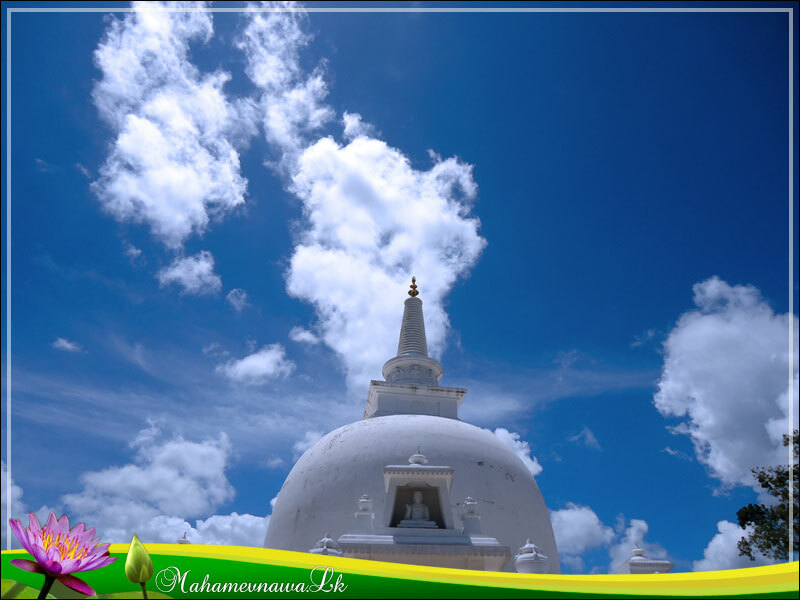 Within a very short time, the island of Sri Lanka adopted the original teachings of the Buddha by listening to the discourses which the monks had handed down (at that time) for a mere 250 years. With the embrace of the Dhamma an astonishing cultural blossoming ensued. Large monasteries where build, giant stupas constructed, people gave up hunting and became mostly farmers and merchants. Cave monasteries where constructed even in the most hidden jungles and corners of the island. Eventually, when Northern India lost the sources of early Buddhism through historic calamities it was Sri Lanka that became a heritage (or time capsule) for Asian Buddhists who would travel from as far as China in search of the original teachings of the Buddha. When I went to Sri Lanka in 1994 for the first time, I had no expectations as to the country except for one: it would be a great place to find printed editions of the Buddha’s discourses in Pali (remember these where pre-Internet times ;-). Somehow I was under the impression it would be very easy in a Buddhist country with such an amazing history to find a set of printed Pali texts. I was in for a big surprise. In the 1990’s when you asked someone where you could buy the “Middle Length Sayings” of the Buddha, you would earn blank stares – not just from lay people, also from monks. Remember, this is similar to going to Italy and asking someone where you could by the New Testament of Lucas and nobody would have any clue what you are talking about. Many monks then where strongly convinced that meditation would lead to mental illness and should better not be undertaken. The belief that rebirth in a divine world by offering food, money and wealth to monks was the best choice of a declined age was very prevalent. Even though the last 100 years had seen certain waves of attempts to revive Buddhism in Sri Lanka (which I later learned from the wonderful book “Forest monks of Sri Lanka”) what I found in the country was a thin shell of the Buddha’s teaching mostly held together by the 2300 year old culture that showed cracks here and there but had stopped to breathe the living wisdom of the Buddha’s teachings which it had enshrined, literally, behind thick vitrines but forgotten to utilize. The Buddha’s discourses had become objects of worship carefully kept behind closed bookshelves. The Pali language knowledge amongst monks (with some exceptions of course) was abysmal. The general public had almost no idea what the Buddha taught other than what the “priests” would tell them which very often boiled down to a simple idea that they had missed their chance and had to wait for the occurance of the next Buddha. The reason why the country had sunk to a level of European pre-reformation days was (amongst many others) in my humble opinion the absolute lack of knowledge about the teachings of the Buddha. Let me explain. When a monk entered his monastic training in those days, he was supposed to first learn the Pali of the commentaries. It would take him years to master that. At which point he could then start (!) to learn the Pali of the actual discourses of the Buddha which most never ventured into. Secondly, the only modern translation of the discourses of the Buddha which had been done in the 1950’s was fabricated by a few scholar monks who sometimes would simply transpose the Pali into an archaic sanskritized Sinhalese which nobody was able to understand. This translation fostered the idea that the Buddha’s teachings where simply too difficult for the ordinary person to grasp. It would be, again to use a rough simile, as if a country like the modern United States had only one bible translation available and that would be the King James Bible (or actually something even older). You can imagine how daunting the idea appeared to most Sri Lankans to “read” the teachings of the Buddha. Very soon even this first general attempt to translate the Tipitaka, the so called “Buddha Jayanthi Tripitaka” edition went out of print and dispersed over the island with very few temples or monasteries owning full collections. It is still amazing that on top of this decline in Buddhist learning several attempts for revival were made by individual monks who tried to re-establish virtue and meditation in the Sangha. This lead to the emergence of the so called “arannya” or forest hermitages which usually where place for meditation and Dhamma study for the few monks (and sometimes lay people) who were looking for the teachings of the Buddha and tried to practice them. They usually were located in remote areas and limited as to their impact on the general public and Buddhist practice. Then, in 1997, something amazing happened. 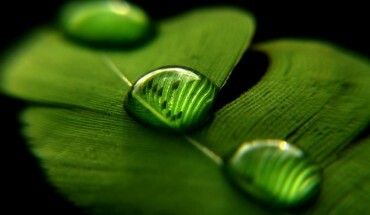 The Dhamma started raining again on the island of Sri Lanka. Based on the historic backdrop you might be able to understand that when a young monk one day “accidentally” ran across the word of the Buddha he was mesmerized and surprised to find that since his ordination he had never been taught or heard of the discourses of the Buddha. It sparked a decade long search in which he toured through all the contemporary forest hermitages to learn from the few living masters which the Sri Lankan forest monk tradition had timidly created. It even led him to the Himalaya’s ready to learn concentration meditation from the yogi’s and practice in the solitude of the mountains. Then one day he realized that all the while the Buddha himself (in form of his teaching) existed right in front of him, an untapped reservoir of wisdom, ready for anyone who would embrace it confidently – well, if you were humble enough to dedicate yourself to it. He went back to Sri Lanka and decided to let go of his own opinions but rather try an experiment: To completely put into practice the Dhamma according to the Sutta Pitaka itself – in other words, to make the Buddha’s discourses his teacher. Without help of the commentaries (which is almost a sacrilege if you know the importance which is attached to commentarial and abhidhamma literature in Theravada countries). Without looking for outside help or even trusting his own opinions – unless verified contextually by other suttas. As samsara has it, I ran into him coincidentally that very year, when passing through a meditation monastery where he was just one among the many young monks at that time. I used to encourage Sri Lankan monks all the time to pick up reading the sutta’s to which in this particular case they responded saying: “ha, you are just like this monk. he tells us the same thing. when you go to his cell, you can see the whole tipitaka nicely stacked up” (remember: which was an amazing thing at that time and meant that he had spent long time hunting down the books all over the country). I was very keen on meeting this strange and extraordinary Sri Lankan bhikkhu who seemed to have (in my eyes) a Western approach to Buddhism in that he did the most rational thing someone would attempt in Theravada Buddhism: study the Buddha’s own words – which for (all the reasons listed above) seemed to escape most of my Sri Lankan friends and thus made him very peculiar. After a short conversation and some great advice (which would alter the trajectory of my life) I left him and forgot about this episode for a long time. The name of this young monk was: Ven. Kiribathgoda Gnanananda. Fast forward to 2010. Sri Lanka in the Age of Reformation. You can imagine my surprise when ten years later a reform movement hit Sri Lanka which in its size, reach and quality does not seem to have an equal. Maybe it was the long span of darkness which makes its light shine so bright. Either way, what is astonishing is the impact it has had so far on society as a whole. All of a sudden young men and women (very often with a Universitybackground) give up families and possessions and ordain. Tens of thousands of lay people gather around stupas to sit for hours in the sun listening to the word of the Buddha – and mind you – not the artistic creative preaching of a modern interpreter of the Buddha’s message – quite the opposite – they will listen to an almost unchanged contemplative reading of a particular sutta. This reform movement (even though it does not consider itself a movement nor a reform, but from a Western standpoint that is how it appears to me) inspired by this young monk started very humbly. In 1997 they began with a small monastery with a couple of lay people coming to the Dhamma talks offered. However something was fundamentally different from the very beginning. In an attempt to follow the Buddha’s footsteps as close as possible the monks of this group do not present their own opinions about the Dhamma. You can see them sit with usually with an open book of some discourse of the Buddha and slowly and painstakingly careful will they take the audience through a sutta of the Buddha making sure that everyone remembers and reflects over this teaching even long after they have left the monastery. In fact, the idea of carefully reflecting over the Buddha’s teaching becomes a corner stone of their method. Not adding their own opinion but just contemplatively slow absorbing and (memorizing) the meaning and advice of the Buddha as he gave it 2500 years ago became the “brand” of this group which following in the footsteps of Mahinda who brought the Dhamma to Sri Lanka created the inspiration for the name this group is now known as in Sri Lanka: “Mahamegha” (or Maha-meo-nawa in Sinhala, which means ‘rain shower’ in English and was the name of the location of the first sermon of Dhamma in Sri Lanka). 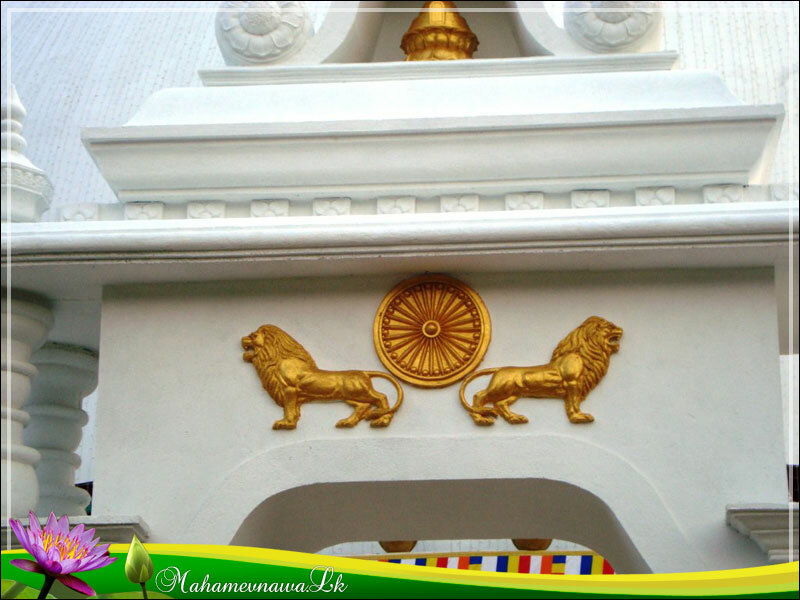 Their symbol, adopted from the time of emperor Ashoka becomes the ancient Dhammawheel protected by two lions. Their admission standards (to become a monk or nun) are very high for a Theravada country – young lay men and women spend up to a year and longer in preparation before allowed to enter the order. Their emphasis on purity in conduct and virtue is exemplary, the training programs for young monks is the study and memorization of the Sutta Pitaka. Their meditation practice includes every meditation advice given by the Buddha in his discourses (from Metta, Buddhanussati, Anapanasati to Satipatthana and Aniccanupassana). Within a short time their popularity exploded and everyone in Sri Lanka is rubbing their eyes how something like this is possible so suddenly. Ven. 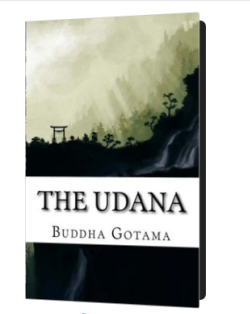 Gnanananda, the driving motor behind the popularization of quite ancient and original form of Buddhism in Sri Lanka published a modern translation of the Suttas in a contemporary very easy to understand Sinhala which of course helped to make Mahamevnawa even more popular. At this point in time (2012) Mahamevnawa (or Pali: Mahamegha) has reached vast portions of Sri Lanka’s society. For the first time in centuries the word of the Buddha is freely available again and handed back to anybody who is interested to “see the Dhamma for himself”.
.) Teaching style: Similarly to the practice of the early Buddhist Sangha. Mahamevnawa’s teaching style is very unique. The monks will read from the Suttas, helping to explain the Sutta by quoting from other relevant passages in the discourses of the Buddha, keeping their own commentary to an absolute minimum. 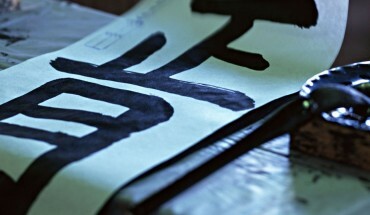 Suttas are picked depending on occasion and level of training of the audience. The Suttas are read in Sinhala or English (in the native language of the audience) to facilitate true undestanding of the meaning with occasional reference to Pali when deemed helpful. Usually Dhamma “talks” like this are alternated with sitting meditations. Attention and memorization of the discourses his highly encouraged. Mahamevnawa’s Dhamma talks will feature many questions to the audience by the monk which in most cases make sure that the audience follows and in fact makes an effort to memorize the key points of the Sutta in discussion. At the end of such Dhamma talks “Q&A” sessions are quite common.
.) Practice: Mahamevnawa has an extensive program for lay people which includes reading some preliminary books before everyone is encouraged to do their own Dhamma study by frequently reading suttas (according to some kind of recommendation) and contemplating the word of the Buddha. Precepts are emphasized frequently and strongly as well as is saddha, or confidence in the Buddha as teacher and the Dhamma as the raft. Mahamevnawa will point to suttas which make clear that even progress on the path is caused and conditioned. There seems to be the understanding that the Dhamma should work quite naturally: If you lay the right foundation progress is not just to be expected, positive changes and rewards of the Dhamma practice are inevitable and “quite natural”. But there is no rush or “hunt for experiences” on the other hand, rather an emphasis on building a proper foundation, step by step.
.) Ceremonies. In the early days of Mahamevnawa rituals where kept to a bare minimum (This was criticized in Sri Lanka). As the popularity of the movement has reached vast parts of society some symbolic offerings have been included in their practice. (This is now criticized in Sri Lanka) 😉 The ceremonies they organize however, are always combined by recitation of discourses and verses in Sinhala/English to encourage mental qualities like confidence and inspiration which are deemed helpful for the practice of the Dhamma (in other words they are not seens as an end in and by themselves) and are usually of a style reminiscent of the Sutta Pitaka’s Apadana. Just to give you another example of their philosophy: When careful analysis of the Sanchi stupa (one of the few remaining stupas in India from the time of Ashoka) revealed that the early Buddhist community worshiped the last seven Buddha’s as their spiritual teachers, Mahamevnawa introduced “Sat Budu Vandanawa” or a commemoration ceremony along the lines of what we can see in Sanchi on this ancient stupa as part of their yearly programs offered in their centers. During such an event the qualities of the seven last Buddhas (which are mentioned in the suttas) are turned into a contemplative reflection in Sinhalese – so that the audience can reflect over the qualities of the Awakened Ones. This follows their credo to “model our practice closely in accordance with the early Buddhist Sangha”. From a Western stand point all ceremonies will probably always seem more extravagant as we are used to (well, besides maybe Tibetan practices) but it would be misleading to judge the entire philosophy of Mahamevnawa based on this.
.) Meditation in general: They seem to be the only contemporary school of Buddhism (besides a similar small group in Germany) to my knowledge which practices meditation “directly from the book”. Meaning that many of their meditations start out as contemplations (which you are encouraged to learn by heart). The contemplation is considered to be the vitakka/vicara part which will lead into jhana. Especially for lay people they are very strong on guided meditations to encourage people to meditate. Mahamevnawa monks, nuns and lay people don’t just practice all kinds of meditations (whatever you come across in the suttas you can be sure a Mahamevnawa monk or nun will have experience with), they also will practice them exactly as found in the suttas while gracefully ignoring the commentarial tradition. In fact Ven. Nyanavira would be delighted to see their clipped list of books in the Sutta Pitaka which they actually pay most attention to.
.) Jhana. Exactly as in the suttas. Lay people and monks are encouraged to develop them – but not as a purpose of and in itself. 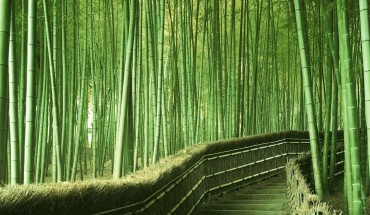 They are seen as a natural outcome of all the other steps which the Buddha encourages people to practice. They are also seen as the method by which the vipassana contemplation will dramatically deepen. .)Vipassana. Exactly as in the suttas. Here is a little story which will give you a good idea of Mahamevnawa’s philosophy on this topic: One day a monk came to Ven. Gnanananda and asked him for advice for his vipassana or insight meditation. He asked whether Ven. Gnanananda had some kind of special technique or system which he could recommend (similar to the Burmese Vipassana). Ven. Gnanananda agreed very positively, took the visiting monk with him to his hut and opened the door. In the back of the hut was a copy of the Suttapitaka. He pointed to it and said: “This is my teacher who knows all about Vipassana. Everything you need you can find in there. In particular the Samyutta Nikaya (the grouped discourses) has a lot of great advice on insight meditation. All you need is right there.” – the monk was disappointed, so the story and left. 😉 It is actually very impressive (though a novel idea if you have been practicing with some kind of Burmese Vipassana which I guess many of you have) that someone would take the Suttas themselves literally as blue print for insight meditation. To understand how this works let me give you an idea: Say you learn the Anatta Lakkhana Sutta by heart (or close to its meaning) and then in your mind repeatedly go over it (in that sutta the Buddha talks about the non-self characteristic of all sense impressions as a tool to attain complete liberation and freedom of the mind). While doing so your mind enters a deeply concentrated state. Now, still investigating according to the direct advice of the Buddha you practice vipassana. Et voila. I think if you boil it down to one idea, it is that “yoniso manasikara” in this sense is understood to mean “careful or radical investigation” rather than “direct attention” (which would be more the commentarial reading anyway).
.) Ordination, monasteries and nuns. At the current moment Mahamegha/Mahamevnawa is still (almost) only a Sri Lankan movement. However there are signs that that is about to change. In Sri Lanka itself they have over 40 branch monasteries and half a dozen more overseas. The overseas monasteries are where the Sri Lankan monks trained in this inspiring culture of “Let’s listen to the Buddha himself for a change” meet the Western Buddhist world (or Asian Buddhists if you include Korea and other countries). There are about 600 monks affiliated with Mahamevnawa in Sri Lanka including 4 nun training centers.
.) Retreat opportunities. 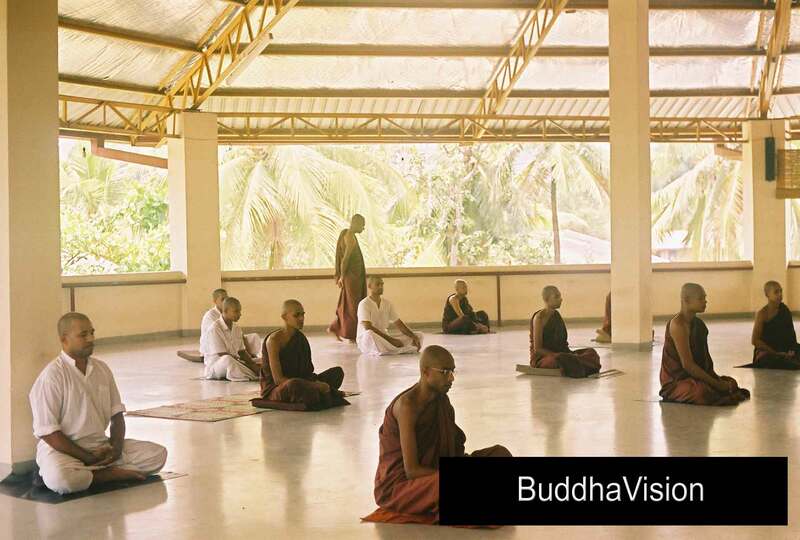 As is typical for Sri Lankan forest monasteries the Mahamevnawa meditation centers are usually open for the general public to join the monks and nuns in their daily practice. Typically this requires that you will take the 8 to 10 precepts during your stay at their facilities. Food and lodging will be free of charge but of course you are welcome to offer a donation (not to the monastics though! all money matters are handled by the lay organizations which run the financials of the monasteries). Make sure you inquire from the monasteries if you can stop by for a visit and also how long you are intending to stay. References which indicate a little bit about your background will help. During your stay you will receive free meditation advice, be able to regularly listen to Dhamma talks and in general follow their monastic timetable (which means getting up early, cleaning the monastery, doing meditation, helping with meal preparations, a long calm afternoon for meditation and some morning and evening chanting sessions). What’s next? If you happen to live close to one of their meditation monasteries / centers (called “asapuwa”) and if you are interested in their approach to Buddhist training I would highly encourage you to join or support their communities. Even though they are mainly driven by Sri Lankan expats at this point the overseas monks do speak English and are very eager to share the Dhamma with anybody no matter what your cultural, ethnic or religious background may be. One way to become active in their communities is to offer dana to the Sangha and thus always get an opportunity for a personal Dhamma talk with the opportunity to ask questions on meditation etc. If you are willing to help even more there is always the need in “bridging the cultures” to facilitate that the Dhamma reaches those who are eager to learn it. As the second generation of Sri Lankans overseas blends into their new home cultures so Mahamevnawa, by bringing the fundamental principles of the Dhamma to different cultures, is also in the process of learning how to translate their direct reading of the Buddha’s discourses into various cultures other than the Sri Lankan. Any help to further this development can be considered great merit and will help the Dhamma to last a little while longer (You will feel the same way once you had a chance to meet their well trained monks and nuns). Either way, their centers are definitely a great place to meet very refined human beings and find noble friendships along the path to Nibbana. Please leave comments if you have any further questions. Good to you back again, it’s been ages. I enjoyed reading about a Buddhist revival in Sri Lanka. It’s interesting to see you describe how things used to be. I think a lot of people saw that back then and just switched off (my own teachers amongst them). It’s encouraging to think of people taking up Buddhism again. After the troubles and war it must be refreshing. Dear Jayarava, thanks for the great feedback. It’s true, I can understand your teacher’s resignation. It is really a blessing that the Dhamma is more applied now in Sri Lanka than it was a few decades ago. Thanks for the great article! When I read this paragraph and your thoughts about the “empirical” vs “realistic” aspect of how the Buddha talks about loka, I immediately had to think of Schopenhauer. A dear friend of mine, when discussing this very topic two decades ago, pushed me into reading Schopenhauer, esp. Vol. 2 of his “World as Will and Representation”. After that little detour, it suddenly made click. Schopenhauer – on the grounds of European Philosophy, Enlightenment and physical science creates a very compelling, rational and clear explanation how “rebirth” (palingenesis) has (or could) be understood. After that, when you look at the suttas again, it all falls into place. I’m having a comment holiday on my blog. I have not read Schopenhauer, but he died about 100 years before I was born. Science at that stage was still nascent – he only just outlived the publication of On the Origins of Species for Instance. So empiricism had yet to really get going before Schopenhauer died. My discussion about rebirth and science is based on articles and books all published in the last 10-15 years. Times have changed really very dramatically since Schopenhauer. I think we’re out of luck now looking to science as a way of justifying belief in rebirth. But equally metaphysics also let’s us down because it becomes fundamentally and erroneously dualistic when proposing any kind of afterlife. I think we have a real dilemma! I’m not sure I’d use the terms “empirical” and “realistic” – “experientialist” and “naive-realist” are the options I was discussing. Loka is our experiential world, not our empirical world. Empiricism implies, in my mind anyway, that something can be measured. This could not have been the Buddha’s view because he had no conception of thoughts as leaving measurable traces. The fact that we can measure such things now is part of the problem. Contra David Kalupahana I don’t think the Buddha was an empiricist at all, and indeed I would see the use of that term as part of a Western attempt to colonise Buddhism and co-opt the Buddha to their own ends. And being accused of doing just this was what made me decide to have a comments holiday. The Buddha, judging by the Pāli Canon, was not interested in quantifying experience; just in understanding how it arises and why it is disappointing. Even the obsession with cataloguing experience seems to be a feature which later Buddhists imposed on the Dhamma. BTW I think Thomas Metzinger, the philosopher who most inspires me, is influenced by Schopenhauer – he doesn’t say so, but apparently some of his ideas are similar. 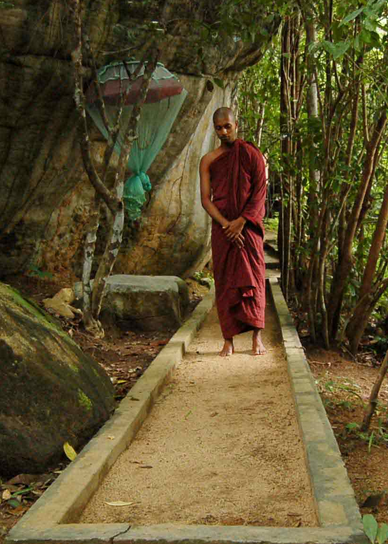 Many thanks for this revealing look at Sri Lankan Buddhism. I have had the opportunity to study with a couple of teachers and sit with several different groups. In the end, I took what I had learnt and went to the suttas themselves to get it all sorted. Not for everyone, obviously, but for me, the suttas are the best sangha. thanks Sudarsha for the comment. the suttas (and vinaya) are for me the best teacher as well. it is, nevertheless, such a blessing to be surrounded by true kalyana mittas… (if one has the opportunity). all the best to you on the eightfold path! Truth is fascinating than fiction, check this eBook, with METTA. We are also following a similar track in philosophy, focusing on the Suttas rather than on Abhidhamma and other commentaries. First we went to Thailand out of interest in Buddhadasa Bhikku’s work, but his disciples seem interested in de-emphasizing his actual views and building an opulent international organization instead. Then we went to Sri Lanka, and actually met Ven. Ñāṇānanda. We had a very hard time getting in touch with their organization. First we tried emailing the various centers—no response except from Florida. Finally we got a contact through a friend of a friend, and were able to meet Ven. Ñāṇānanda. After that, there seemed to be little interest in bringing us in to closer relationship, unless we wanted to be official Upāsakas in their organization and under their authority. That does not have much appeal to us. More recently we found Ven. Ñāṇavīra’s work, and it is very interesting, if as difficult as Heidegger. We can deal with that, but the difficulty of creating a satisfactory relationship with Mahāmevnāwa as a westerner is significant. Thanks for the inspiring story, which I immediately recommended to some friends. I read the following comments about the Mahamevnawa in Buddhist Forest Monasteries and Meditation Centres in Sri Lanka (http://www.bps.lk/olib/mi/mi008.pdf‎), and would like to know which branches of the Mahamevnawa (for women) are more practice-oriented. 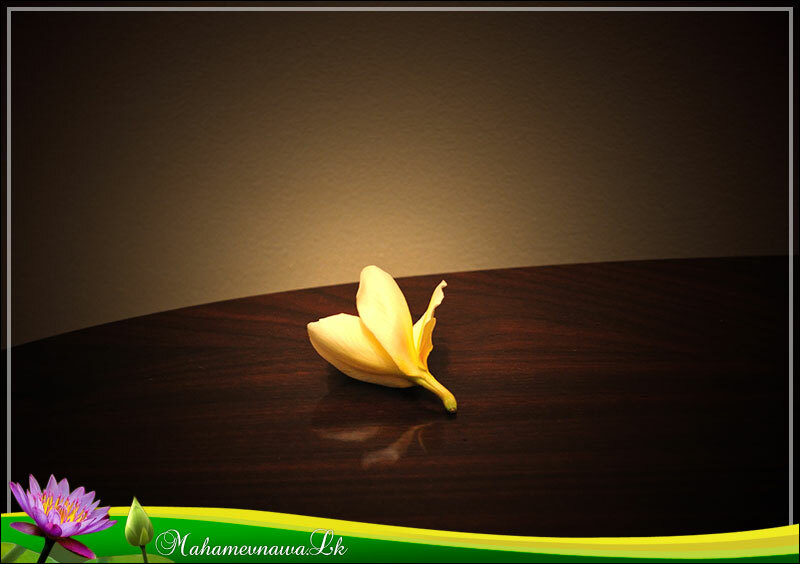 In addition to the Mahamevnawa, would you also recommend some other place(s) suitable for women to practice the Dhamma? I’ll post a couple of questions to your earlier essay about an interview with Ven. Ñāṇananda. Hope you’ll have some time available to help me. I find it interesting that you have not come across this approach to the practice, teaching and training in Buddhism. This approach is exactly what has been happening at the Cittaviveka Monastery in Chithurst, West Sussex, UK and other monastries for many decades. In fact Nananda thero had at one point been a resident monk at this monastry. Thus I am not surprised that he then adopted the practices he learnt from Cittaviveka for his movement.